John Lennon's diaries recovered by German police after theft . Beatles Radio: The Beatles, Solos, Covers, Birthdays, News The Fab 4 and More! 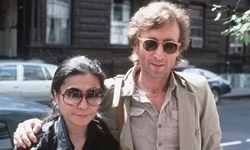 The stolen goods consisted of “various items from the estate of John Lennon, including several diaries that were written by him,” Steltner added.